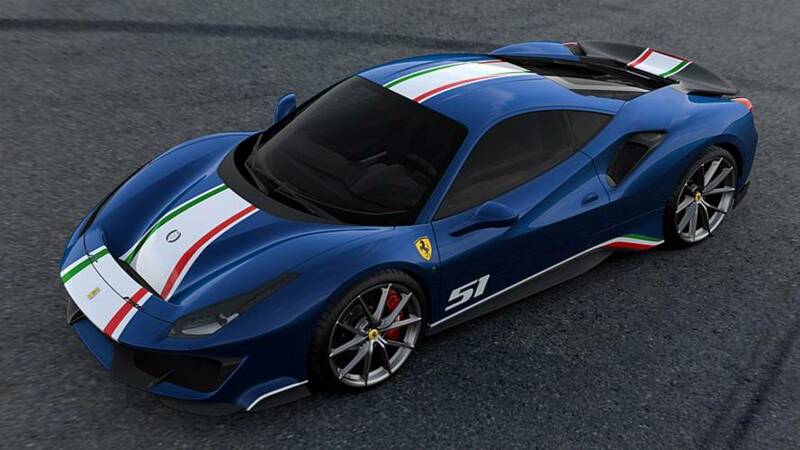 Remember the special edition 488 Pista Piloti Ferrari that was unveiled last month? There were four colors to choose from back then, but only one color was available in photos when the story went out, which was the traditional Rosso Corsa. 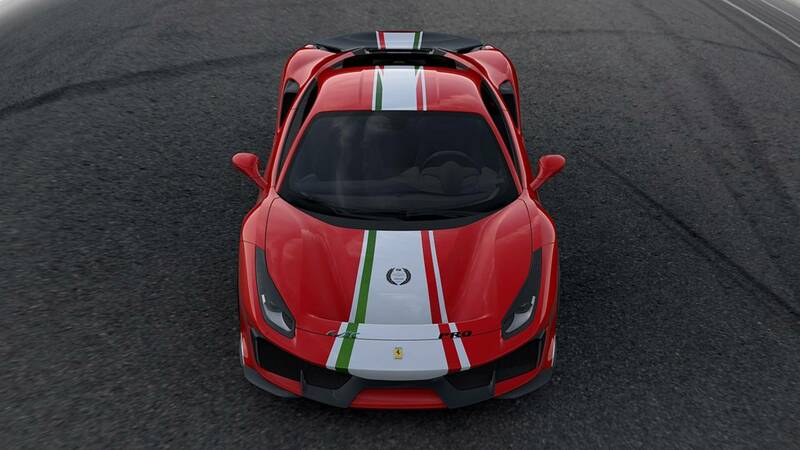 Luckily, Ferrari sent us the other three color themes, and we’re kind of guilty in picking our favorite. The other three color options are Argento Nürburgring, Nero Daytona, and Blu Tour De France, featured in the images below, respectively. If we’re to pick our favorite, it would be the blue one. 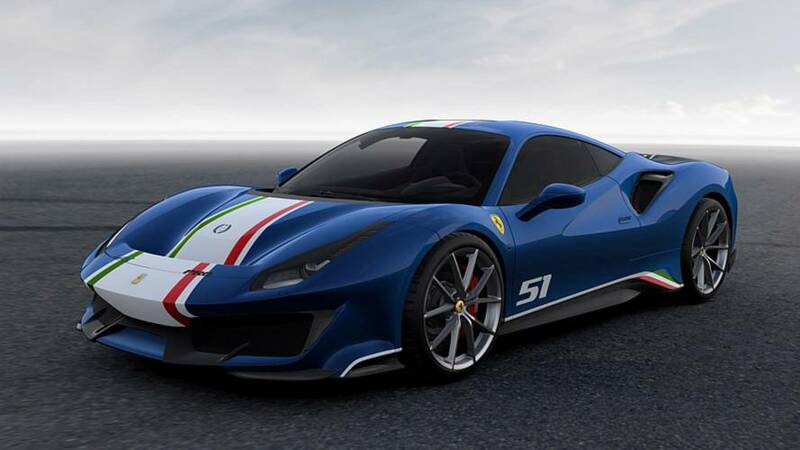 Italy’s Tricolore racing stripes look really cool when combined with blue body, and so is the number “51” that’s a hat tip to AF Corse’s no. 51 car that won in 2017 FIA World Endurance Championship (WEC) with Alessandro Pier Guidi and James Calado. Other visual differences include a laurel that celebrates Ferrari’s WEC win and the “PRO” lettering to represent the class that the car raced. The S-duct is in matte black, while the rear spoiler and vents are all in naked carbon fiber finish. 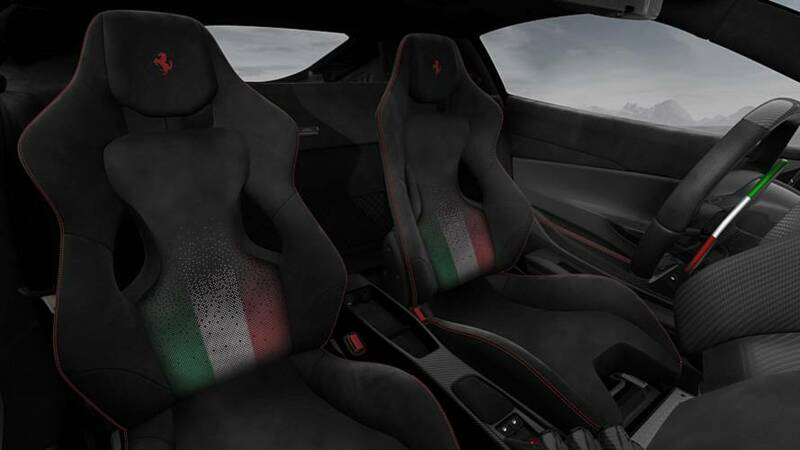 Inside, the Piloti Ferrari’s seats are clad in black, perforated Alcantara with the Italian flag crowning the backrest. The shower of Italian Tricolore scheme is also seen on the edge of the paddle shifters and on the floor mats. The base of the steering wheel bears AF Corse’s no. 51 as well, while there are carbon sill and identification plates to maximize the 488 Pista Piloti Ferrari’s exclusivity. 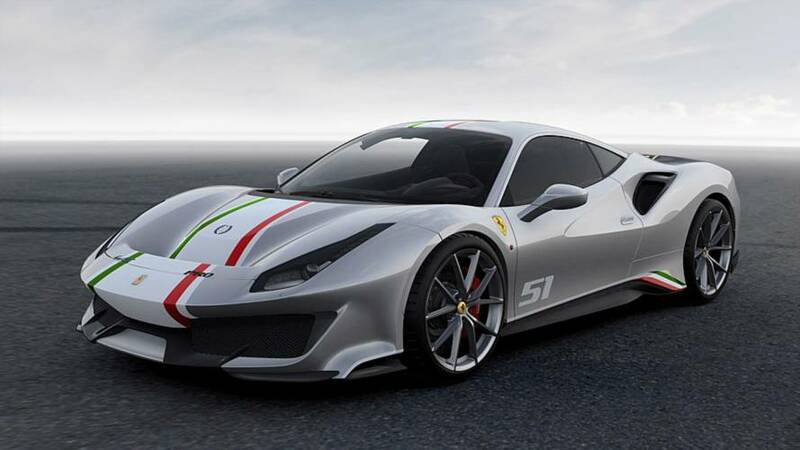 Aside from the color finish and racing number, only a few things can be changed with the 488 Pista Piloti Ferrari. First, the standard Grigio Corsa wheels can be changed to carbon fiber rims or matte black. Then, you can choose black four-point harnesses instead of black seatbelts. Lastly, a matte carbon fiber trunk lid can be added. Too bad, though, the 488 Pista Piloti Ferrari is only offered to customers involved in the Prancing Horse’s race car programs. 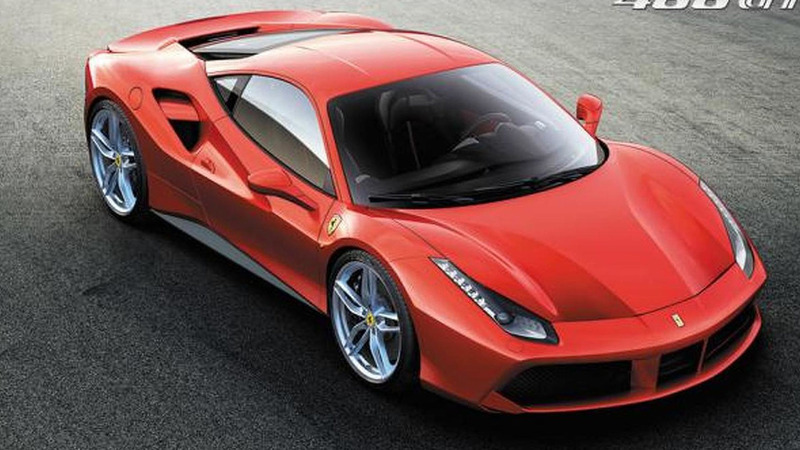 The specifications are configured specifically by Ferrari’s Tailor Made division for the marque’s client race drivers. If you’re fortunate enough to be on that list, well, good for you. Even better, the Tailor Made 488 Pista will receive an official Ferrari Classiche certification.